Christmas 2017: Could Santa Be Real? Oxford Research Says Yes! A new Oxford University research has revealed that bones long believed to belong to St. Nicholas after whom the iconography of Santa Claus is based, do in fact date from the right historical period. 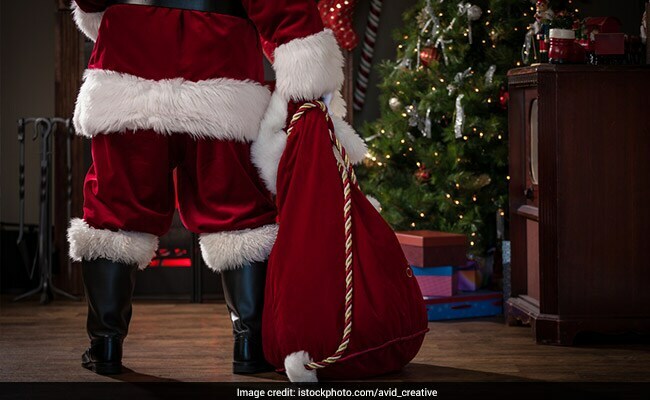 New Delhi: Real or not real, Santa Claus rules the imagination of children all over. However, a recent research at Oxford University is out and about to settle that debate. A new Oxford University research has revealed that bones long believed to belong to St. Nicholas after whom the iconography of Santa Claus is based, do in fact date from the right historical period. In the 16th century stories about St Nicholas became popular, and the legend of Father Christmas was born. St Nicholas is thought to have lived in Myra, Asia Minor, which is now modern day Turkey. According to the legends he was a wealthy man who was famous for his generosity. It is believed that St. Nicholaus has persecuted by the Emperor Diocletian and died in prison. A group of Italian merchants took away his remains and transported it to Bari. The bulk of the remains sit in the Basilica di San Nicola, Bari, Southern Pugalia since 1087, in a golden tomb. Over the years, relic fragments have been acquired by different churches all over the world. Since the relics have travelled over the world, there have been questions about if the relics belong to the same person. Professor Tom Higham and Dr Georges Kazan, the Directors of the Oxford Relics Cluster at Keble College's Advanced Studies Centre, analyzed the relic which is owned by Father Dennis O'Neill, of the Shrine of the All Saints, St Martha in Bethany Church in Morton Grove Illinois, USA. The radio carbon dating on a micro-sample of bone fragments, revealed the relic's age to the fourth century AD - the same time that some historians allege that St Nicholas died (around 343 AD). The results suggest that the bones could in principle be authentic and belong to the saint. Professor Tom Higham said that many relics have been analyzed before but have turned out to date to a period which is later than the historic attestations would suggest. The recent finding suggests that the remains could possibly belong to St. Nicholas himself. Dr. Georges Kazan said, "These results encourage us to now turn to the Bari and Venice relics to attempt to show that the bone remains are from the same individual. We can do this using ancient palaeogenomics, or DNA testing. It is exciting to think that these relics, which date from such an ancient time, could in fact be genuine." Most of the bones believed to be from St Nicholas are still preserved in Bari, with some in the Chiesa di San Nicolo al Lido in Venice.